PriceCo Floors, Inc. is open Monday - Saturday, conveniently located at 107 Washington Blvd. We're committed to buying and supplying hardwood that is not only the best quality, but also responsibly collected and ethically traded. Family Owned and Operated in Laurel, MD. Call 301-317-6220 to arrange your free in home estimate today! It is our promise to treat our customers the way we would want to be treated and offer products that are good to the earth and to the population. We’re committed to buying and supplying hardwood that is not only the best quality, but also responsibly collected and ethically traded, in order to created a more stable climate for the future of our planet. We guarantee to save you hundreds if not thousands compared to Home Depot, Lowes, Empire and all major retails on like material installed. This promise, combined with our wide variety of high-quality products and the best customer service, is what makes PriceCo Floors a company that you will want to recommend to all your friends and neighbors. PriceCo Floors is constantly offering great specials on brands you know and trust for carpet and hardwood flooring. Our unwavering dedication to quality material, fair pricing and excellent customer service has led to successful completion of more than 30,000 commercial and residential projects throughout Maryland over the past 16 years. At PriceCo Floors, we understand that the process of selecting new floors can be overwhelming. 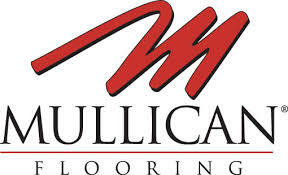 Allow our flooring professional to help you sort through the multitude of options and find the products that best fit your flooring needs. Schedule a free, no obligation, in-home estimate where our professionals can come measure your project and bring samples for you to consider in the comfort of your own home. Home estimates are scheduled in an one hour window and the sales representative will arrive within that scheduled window of time. You can also visit us at our Laurel showroom and find the brands you’ve come to know and trust for your flooring needs. Please ask us about financing options available.